You are here » frostvalley.org » Overnight Camp » Camp Wawayanda » Screen printing Specialty! One of the coolest things about camp is trying new things. 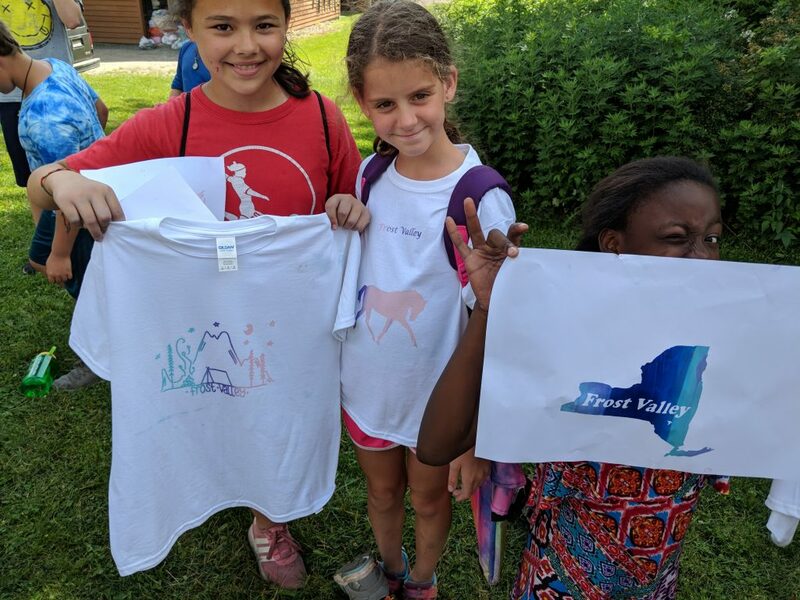 Arts and crafts is a summer camp staple, and screen printing takes arts and crafts to the next level. Here are some Wawayanda campers showing off their artwork after coming back from their screen printing specialty!